A brand new challenge at Bearlymine Challenges! 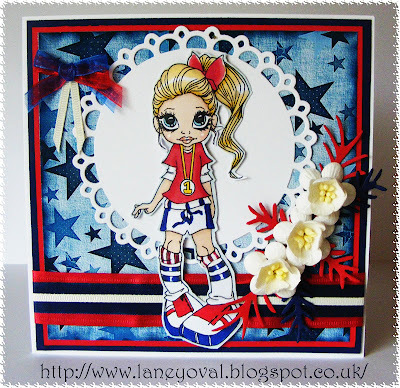 I have used DP from Bearlymine Designs..Designer Extreme CD, 'Olympic' digital stamp from Saturated Canary and isnt she fab and a dream to colour using my promarkers, wanted to keep my theme to red white and blue so layered everything up using these colours , added ribbon and flowers to follow my theme. 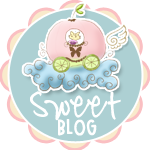 please pop by to the Bearlymine Challenge to see what my lovely teamies have created! 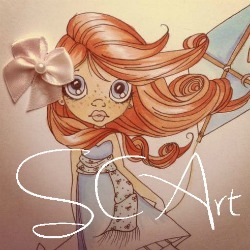 Dont forget the Bearlymine Designs shop for all your digital papers! Hi Laney, What a fabulous card. The image is stunning and you have coloured her so well. I love all of the design detail. Morning Laney. Great card. Love the image and the lovely vibrant colours. Great card Laney, love the bright colours you have used! Gorgeous. I saw it on Make it Monday. Laney: Wonderful card! Thanks for joining us for our Challenge #16 - "Country Where YOU Live". Did you get to see the Torch? A fabulous card Laney and I am loving the colour combination and the image is fab too. 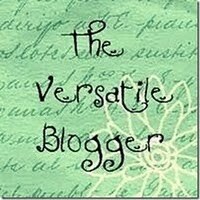 This is fabulous Laney - nice to take a good around your blog - haven't been over in a while. Beautiful card Laney the colours, design and image are superb. Wow, fabulous card. Gorgeous colouring on your SC image and lovely layout. Beautiful Laney. Truly a lovely card. Followed your link from MIM. I'm 73, 81 & 83 this week (so far!). I'd love it if you to stop by and comment on your favourite one. Wow, great layout for this card! Love the red, white and blue, suits this image perfectly. What a Stunning Card!! Loving It so much! The Design is fantastic! Thank you so much for playing along with us this week at Love to Create Challenge! We Really Appreciate your Support & your Creativity! Please Come Back & Play with us again really soon! !